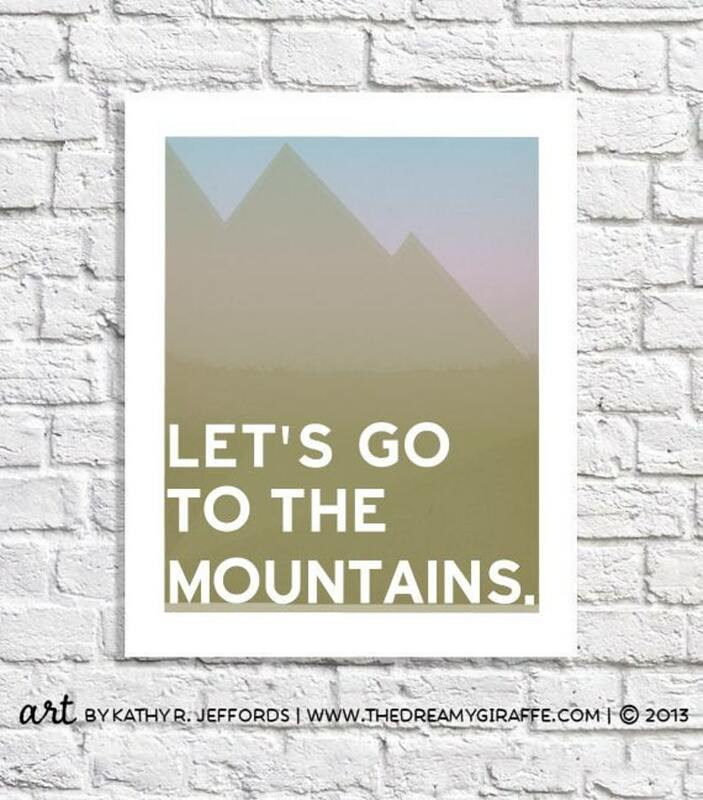 A print that celebrates winding, twisty roads climbing up up up, that first feeling of your ears popping as you drive higher and higher into the sky, cabins in the wood, fresh air and morning dew. - I use fade resistant bright and vibrant inks on an heavyweight and sturdy paper that has a luster finish which enhances the colors and makes them pop vividly on the page. These materials ensure they print will remain just as beautiful years from now as it is on the day it is printed. - The image area is just around 7.2" x 9.2" centered on a 8.5" x 11" (21.59 cm x 27.94 cm) sheet. This print was designed to fit in a frame or matt with 8" x 10" opening, with the intention of some of the white border showing. - Signed and dated on the back. - Shipped to you via USPS First Class Mail in a clear archival sleeve within a rigid mailer to make sure it gets to you perfectly perfect, too! - My prints are *not* sold framed, but if you'd like some tips/hints/ideas I've picked up along the way for framing that are easy/affordable/awesome, just ask and I'll happily get that info to you! - Please note that colors vary from monitor to monitor, so the colors on the print you receive may look slightly different than what you see on screen...but I guarantee they will be beautiful. © 2013, Kathy R. Jeffords. Copyright not transferable with sale. Please, please do not repost my work elsewhere in any part without credit (which should include a link to this listing).